The author, T.M. Marshall, explains that joy is the underlying essence of goodwill, true happiness, and the truest expression of unconditional love. According to the author, the cause of all human suffering lies in our perception filters and happiness is a state of mind and joy is a state of being. Perception is key to our state of well-being and to truly awaken is to live in the here and now. The purpose of this book is twofold. The primary objective is to reignite our natural state of joy through mindful practices. The second objective is to assist the world in finding greater balance. By expanding on many theories and well-known practices, such as manifesting desires, self-love, positive affirmations, shadow play, anchoring, and much more, T. M. Marshall helps the reader bring the essence of joy into his or her life. 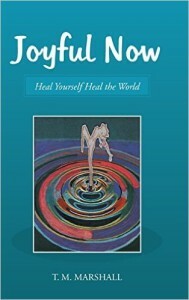 I can truly embrace and attest to the practices that are presented in this enlightening and joyful book. As a shaman, I truly enjoyed the section on shadow play and facing and recognizing fears within our subconscious minds. I firmly believe this is where so much of the awakening and joyful magic happens. I also love how the author gives the reader simple practices throughout the book to achieve results and awaken the essence of joy within. The Spirit walk exercise is one of my favorites as well! I highly recommend this book to everyone. 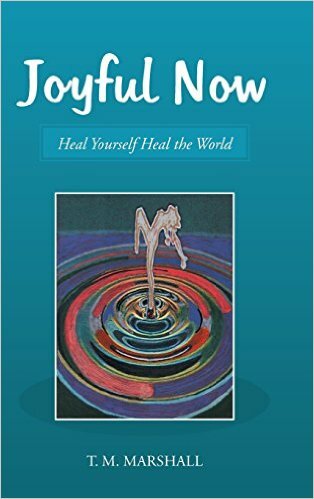 Even if you are the happiest person on earth, this book contains enough wisdom and practices to maintain that lasting joy and to help those you love and to respect those you don’t. If you find joy lacking in your life, this book is the perfect guide to achieving the essence of joy and living a passion filled life.